Boats of the Year is a print and digital issue of USHarbors and Maine Boats, Homes & Harbors Magazine, highlighting boatbuilders, marinas, and services along the coast. 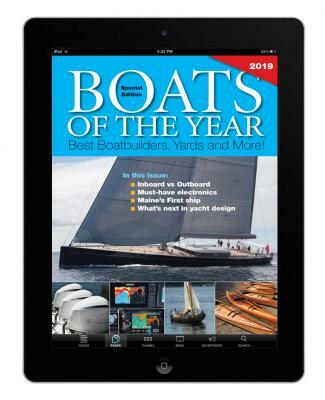 Boats of the Year includes not only stories from the yards, but also feature articles by professional writers and photographers. Boats of the Year provides an interactive account of the work being done by some of the country’s finest boat builders, boatyards and others — all told in their own words and illustrated with gorgeous photographs. The current digital issue of Boats of the Year is free to download. Back issues may be purchased for a one-time fee of $4.99. Subscribers to Maine Boats, Homes & Harbors magazine can view all issues by logging in to the MBHH app. For more information, please visit our FAQ page. The print version of Boats of the Year will be available on newsstands beginning in April 2019.